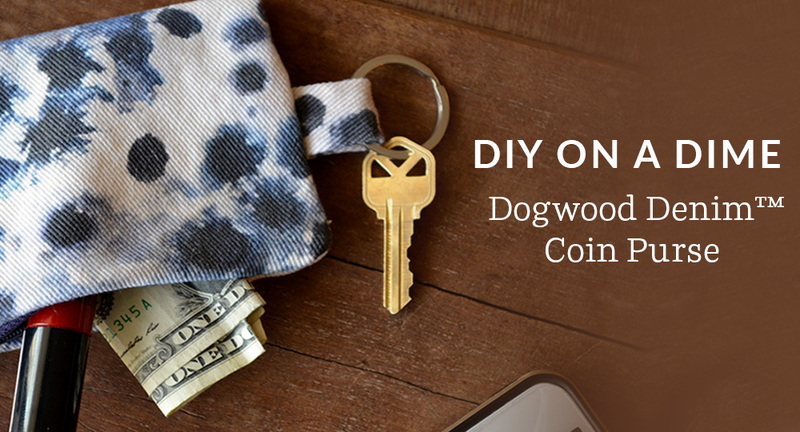 If your goals for 2018 include getting organized and working through some of your fabric stash, the keychain coin purse is the project for you. 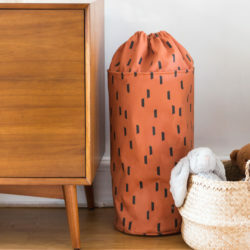 It’s quick, easy, and requires only an 8” square of fabric – the perfect project for a swatch or scrap of fabric from your latest make. 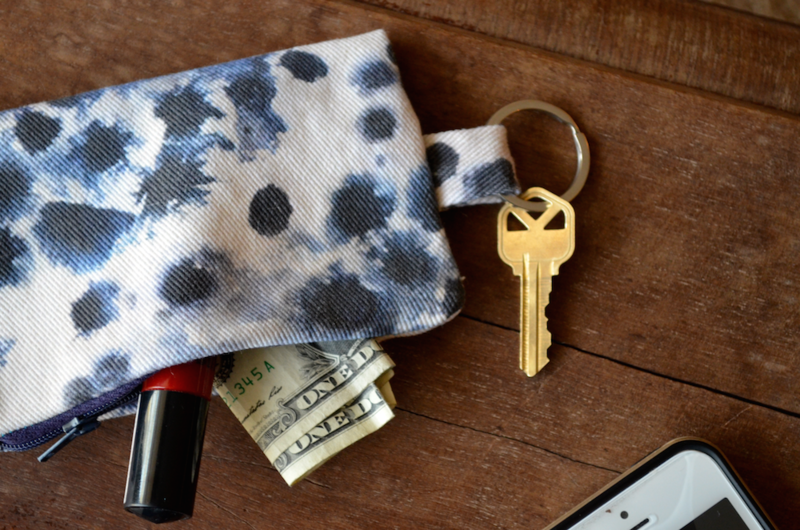 Grab yourself a sample swatch of our latest and greatest fabric, Dogwood Denim™ and get ready to turn it into a super useful keychain zipper pouch for just $5. 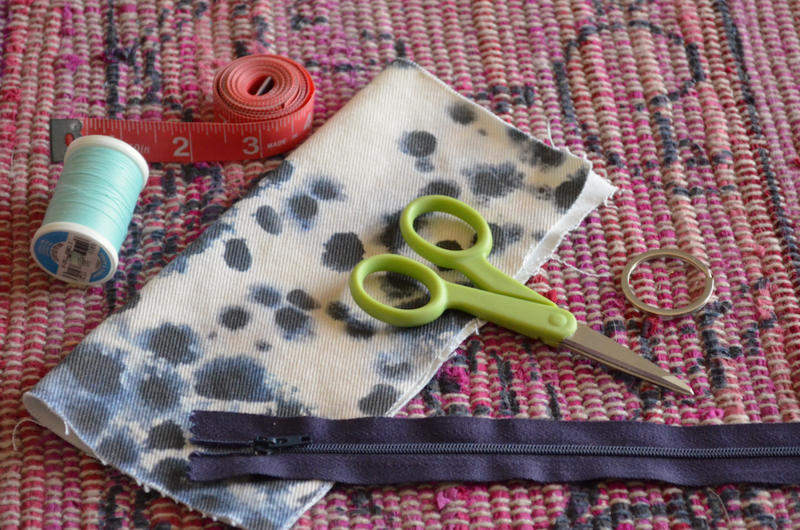 If you’re new to sewing with denim, don’t forget to review our 5 do’s and don’ts for sewing with Dogwood Denim before you get started! Step 1. 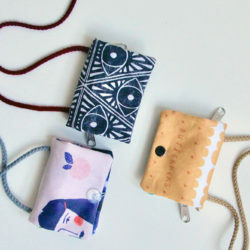 Cut your swatch into 2 pieces: (1) 8” x 6” rectangle and (1) 2” x 3” rectangle. 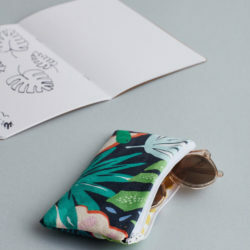 Note: If you have a swatch with a directional fabric design, you may want to cut two 4” x 6” pieces instead of one 8” x 6” piece so the design is right side up on both sides of your coin purse. Step 2. 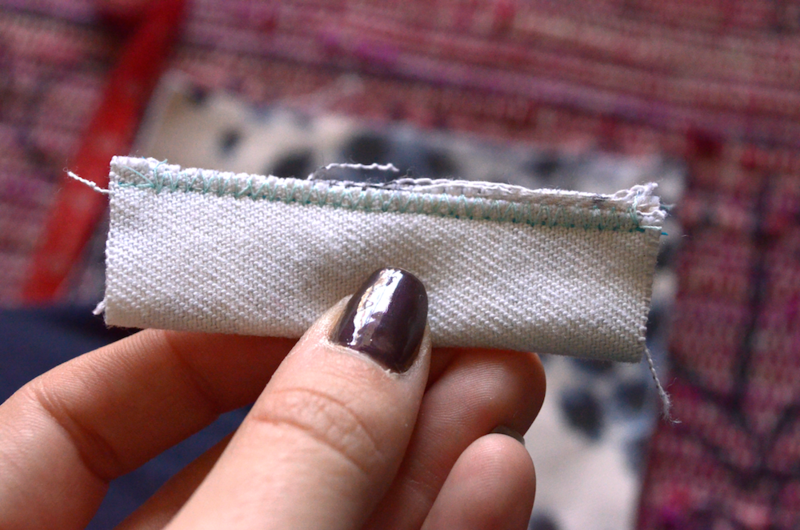 Fold your 2” x 3” strip in half, long edges together with right sides facing. 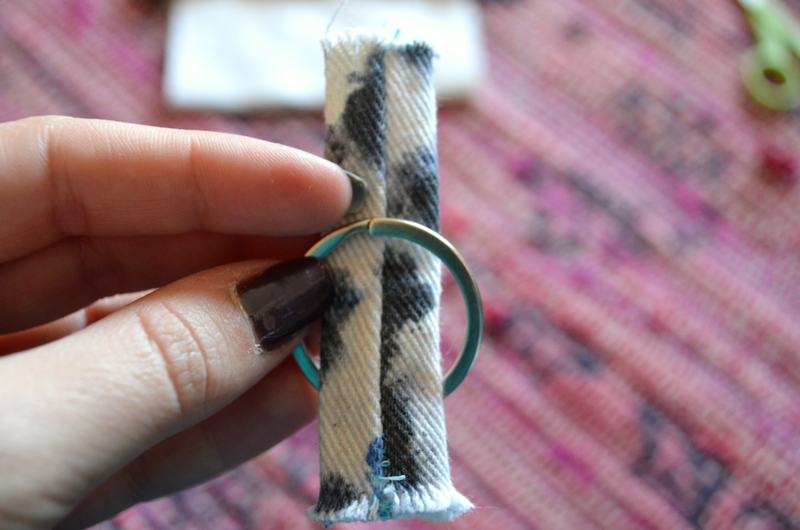 Sew with a ¼ seam, then zig-zag or serge your edges together for stability. Turn right side out and set aside. This will be the piece that wraps around your keyring. Step 3. Place the 8” x 6” piece right side up with the 6” edge at the top. Center your zipper right side down on top of it, lining up the top edges. Step 4. 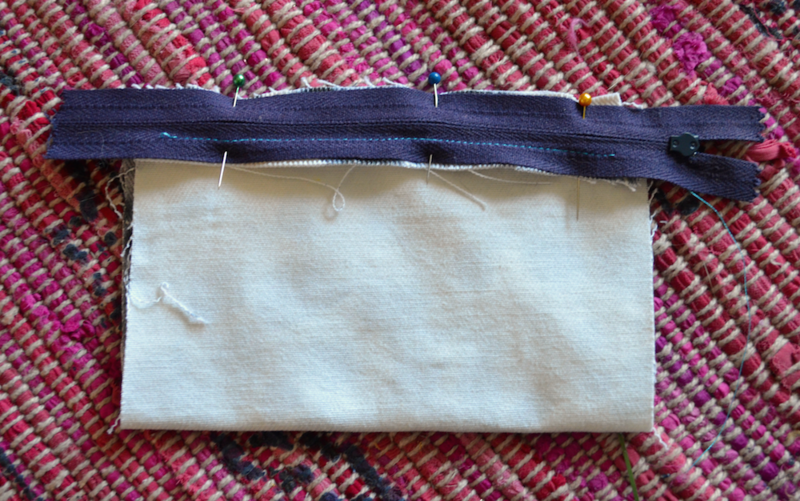 Pin in place and sew the zipper onto your fabric starting about ½” in from one edge and stopping about ½” from the other. Step 5. 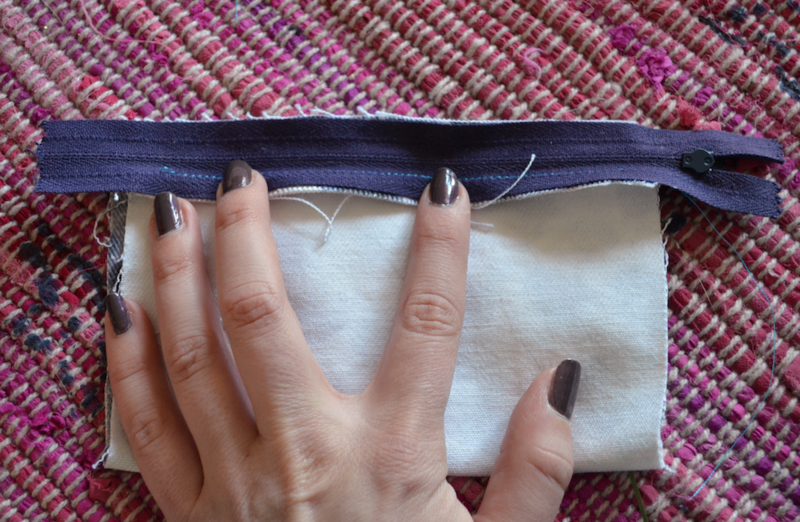 Flip your fabric over, and fold it in half with right sides facing. Line up the other 6” edge with the other edge of the zipper, making sure that the sides of your purse line up as well. Step 6. 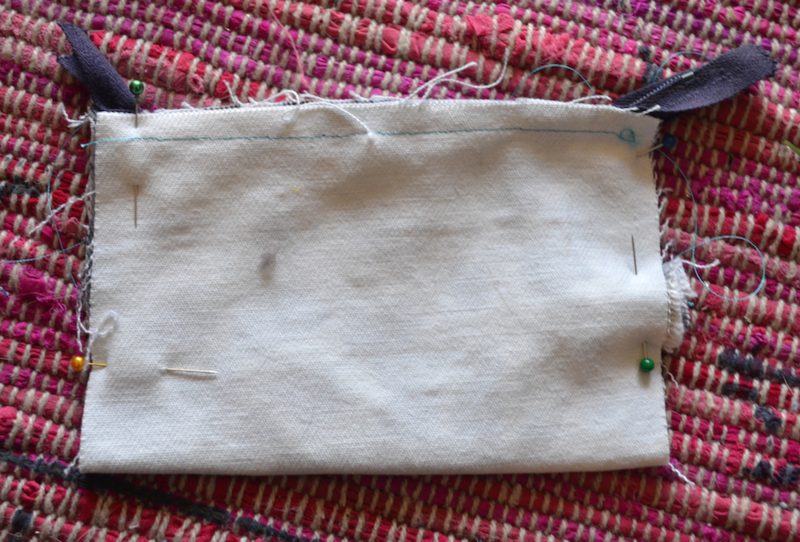 Pin and sew in place, starting and stopping at the same points as your first line of stitches. Open your zipper halfway, but leave the body turned wrong side out. Note: If you opted for cutting two pieces, just line up the top of your second piece with the other side of the zipper with right sides facing. Find the complete zipper pouch tutorial here. Step 7. 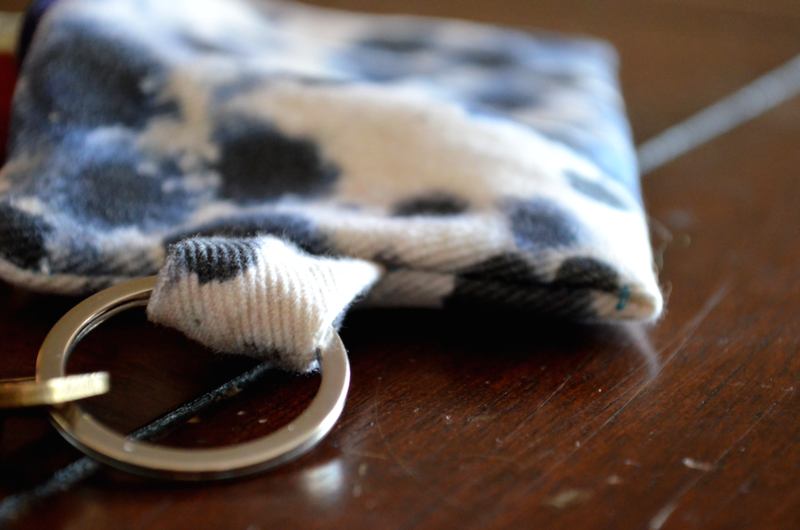 Turn your keyring strap so the seam is on the inside, and fold in half around your keyring. Step 8. 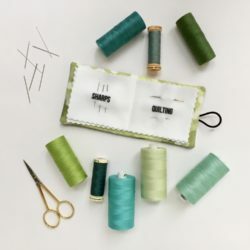 With the folded edge of the strap facing inward and aligning all raw edges, place the ring and strap between the top and bottom body layers and pin in place in the center of one edge, leaving a little sticking out from the edges of the purse body. Pin your sides together, making sure that your zipper is still halfway open. Step 9. Sew along both sides (or all three if you had two pieces), and in along the top edge just enough to overlap slightly with your stitch lines from attaching the zipper. Serge or zigzag the side edges together to finish if desired. Trim the ends of your zipper if needed. Step 10. Clip your corners, and turn your purse right side out through the zipper opening, tucking the ends of your zipper down inside. You’re done! Pro tip: The ridges on Dogwood Denim photograph doggone well (see what I did there?). 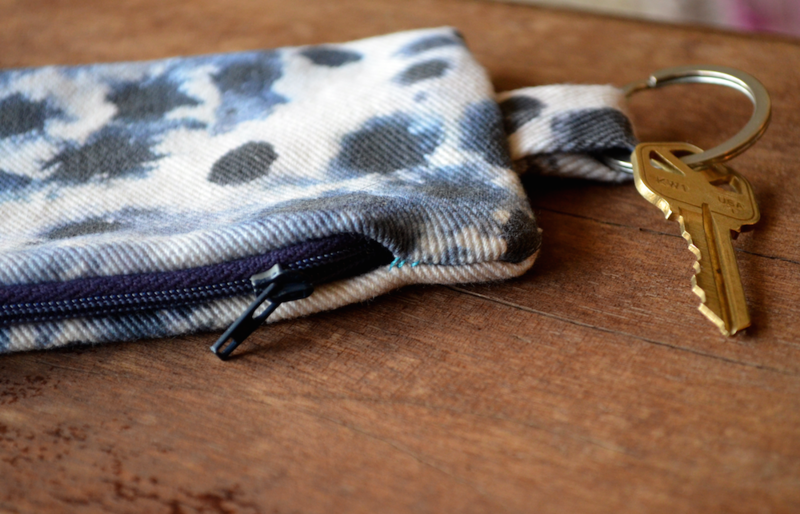 Snap a pic of your freshly made keychain zipper pouch and #spoonflower to show the world how crafty and organized you are – this is totally your year. First time working with denim? 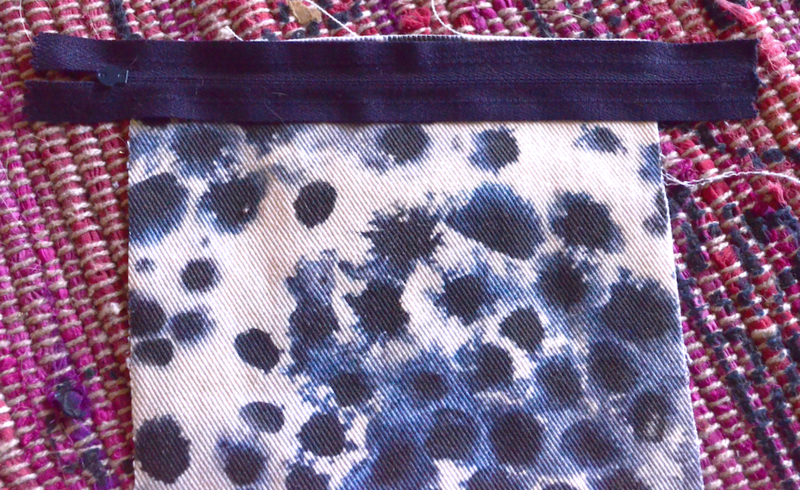 Don’t miss our five do’s and don’ts of sewing Dogwood Denim!